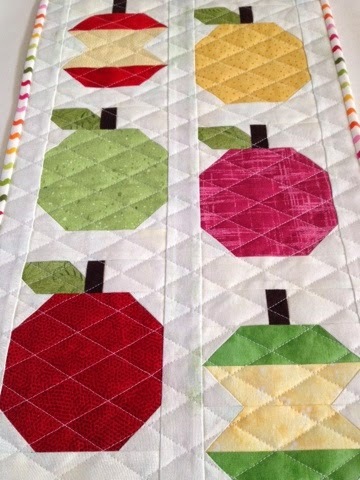 I only made six of the blocks (and no border) although it's still on my list to make in full one day. The background is Moda grunge and the rest of the fabrics (except the pink) came from my scrap bins. 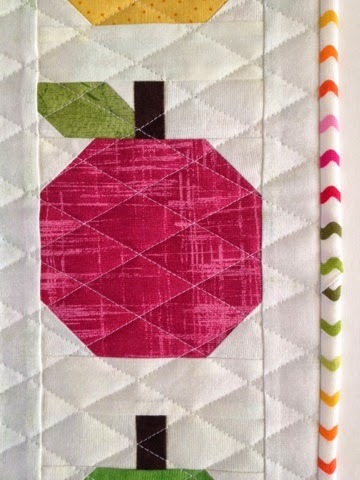 April's Colour of the Month at Serge & Sew is pink - the fabric is really a fushia colour and used in this apple. 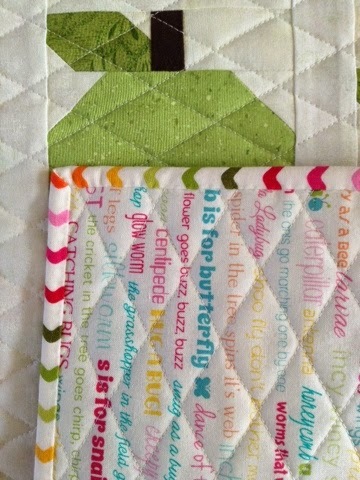 For the backing I used this cute text print - "Snug as a Bug" by Melly & Me for Riley Blake. The binding was previously made (and rejected) from a prior project but I think it works perfectly with this one. 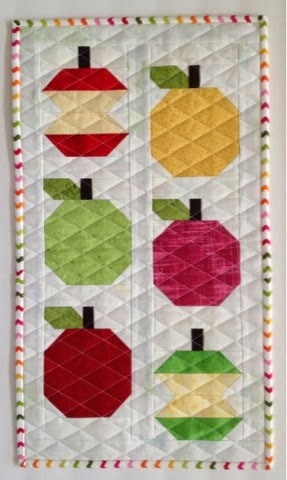 I did a simple cross-hatch 60 degree quilting pattern with Aurifil 2024.